Knowing how to treat sour crop can might mean the difference between life and death for your chickens. What is your chicken’s crop? What are symptoms of sour crop? Although preventing sour crop is absolutely better than having to treat it, there are times when you’ll just need to know how to treat sour crop. But, let’s start at the beginning. 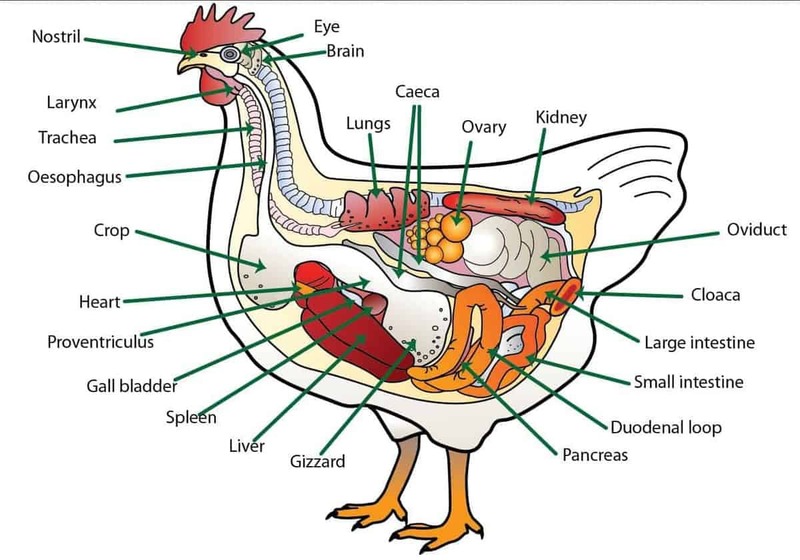 The crop is a vital organ in your hen’s body that acts as a receptacle for whatever the chicken eats during the day. It’s like a pocket or pouch that stretches as your hen eats. As she goes along snacking, the crop will expand as your hen eats more and more. In the crop, food is moistened and begins softening before its passed down to the small stomach and gizzard (where food is further broken down). If you pick up your chicken at the end of the day, and feel a lump on the right side of her body, you’re likely feeling her crop full of food waiting to be broken down and digested. The crop can be used as an indicator of your hen’s health; if she has a crop that’s full at night, then emptied in the morning, you’ll have a good idea that her digestive system is working well. On the other hand, if her crop has been empty for a few days, and you can’t feel anything there, that might be an indication she is not eating, and might be sick without displaying any other symptoms (chickens are masters at hiding illness until it’s too late to treat them). A crop that is full in the morning might also be an indicator of illness, such as sour crop or an impacted crop. If you smell something funky, then you might be dealing with sour crop! Sour crop occurs when your hen’s crop becomes infected with the fungus Candida albicans, according to the University of California, Davis. The fungus invades the lining of the crop and begins to breed, causing an upset in the natural environment in the organ. Although it can effect healthy adult birds, problems usually arise in immuno-compromised animals or young pullets and roos. Your chicken can pick up this fungus from anywhere in its environment, although they’re more likely to have a problem if they eat rotten food, moldy feed, manure, etc. Offering your hens a quality ration that’s fresh will help prevent sour crop. Many times, Candida albicans is transmitted to chickens through feces, since chickens already have small amounts in their intestines. Making sure their living area is clean from feces (hard I know, but do your best) is paramount to lessening their exposure to the fungus. As the hen becomes infected with the fungus, the lining of her crop thickens, and the infection can interfere with her crop’s ability to empty its contents into her stomach. (This can lead to an impacted crop, but that’s another subject for another article). Sour crop symptoms include lethargy, a horrendous stench coming from your chicken, or weight loss. If you notice the crop is not doing its job, then sour crop might be the culprit. If you suspect one of your chickens might be effected, then check her in the morning. If her crop is still full, then you might be dealing with sour crop. Out of all these symptoms, the most definitive is a sour milk-type smell, which tells you the fungus has gone into overdrive. (Bear in mind that I am not a licensed vet, and this information is for educational purposes only. Please consult a qualified poultry vet if you think your chicken might be sick). Your best sour crop treatment is prevention by making sure your chickens eat only fresh, healthy food and that your flock’s living area is clean. However, even if you do your best to prevent illnesses, your chickens might develop sour crop anyway. So, what’s best for treating sour crop chickens? If a hen does come up with sour crop, clean her living area well with a natural coop cleaner (never bleach) to remove the fungus as best as you can. Candida albicans does not get spread from chicken to chicken, so they won’t catch it from each other. However, according to the Merck Veterinary Manual, sour crop generally occurs because their coop is not clean (going back to the idea that Candida albicans is in their poop). So cleaning, while it won’t cure your hen, will help prevent any other chickens from getting ill. If you want to treat your chicken using conventional medicine, then you’ll want to contact your vet. The Merck Veterinary manual explains how to treat sour crop with nystatin or fluconazole. Both are antifungal medications your vet can prescribe and instruct you about how to administer. Although you should always take your vet’s advice, because you’re dealing with a fungal infection, I would steer clear of any antibiotics, which can allow yeast to go into overdrive (if you’ve ever had a yeast infection while taking antibiotics, you’ll know what I mean). If you want to treat sour crop naturally, then you have some options. If her crop is still full, you can start with “burping” your chicken to remove the impacted food and reduce chances that it will ferment there and cause even more problems. Holding your chicken under your arm so her head is at an angle towards the ground, massage her crop gently until the food is regurgitated (if you’re not sure how to do this or if you’re afraid, then consider taking your chicken to a vet who can do it for you). Be advised, though, if you attempt to burp your chicken, there is a chance she will aspirate (breathe in) some of the vomit, which can lead to death. Take caution. Massaging the crop when your chicken is upright can still be beneficial, as it can help break down the food and might help it pass into the stomach. You also can try providing apple cider vinegar in a ratio of 1 tablespoon per gallon of water. The apple cider vinegar will introduce beneficial bacteria into her digestive system, which would hopefully combat the fungus. I would personally steer away from feeding anything else to introduce beneficial bacteria since the crop is already compromised because of the fungal infection; asking it to work harder might make things worse. To prevent sour crop, consider offering apple cider vinegar. The natural beneficial bacteria will help establish and continue healthy gut flora, and might help your hen fight off any potential Candida albicans infections. Making sure your hens steer clear of rotten or moldy food as well as the compost pile will help prevent sour crop. University of California, Davis. “Cropping Up,” Chickens, September/October 2015, page 74. (Article about how to treat sour crop). Merck Veterinary Manual. “Mycotic Diseases of Pet Birds.” Accessed January 8, 2016. Do you feel you now know how to treat sour crop? Leave a comment below! Knowing how to treat sour crop can be the difference between life and death for your chickens. Here's what you need to know today. Great advice. I would also suggest not using sand in the coop as bedding/litter. That can lead to an impacted crop and likely sour crop as well since it’s loaded with bacteria and your chickens will be tempted to eat it unlike other bedding options such as straw or shavings. I enjoy your posts. Thanks Lisa, I’m glad you like it. Although I haven’t tried sand myself (I’m a shavings and straw person too), I have my reservations about it also, for the same reasons you mention. I just recently battled a severe sour crop infection with a hen. She was older and the illness was too much for her to deal with. She and I both put up a good battle, and had the vet consult. Apparently the yeast can also cause thickening and form a membrane in the throat preventing anything else from passing down or from any bad food being regurgitated. I learned a lot but it was sad to lose an old friend. I’m sorry to hear about your loss, Janet. It doesn’t get easier, does it? I lost an old chook to sour crop a year or so ago. She fought it off twice over 7 months, the third time she died. I think like some women are prone to candida infections, so are some chooks. Any time she was stressed, like severely hot weather, it would come back. She, like all my chooks, was completely free range ( cooped at night only ). Our theories included drinking from a dirty water source ( like a dirty pot somewhere in the yard ) or eating mouldy food she found somewhere on her travels. Do you introduce the vinegar into the drinking water and how much do you use? Do you give it to new baby chicks or wait until they are a certain age? 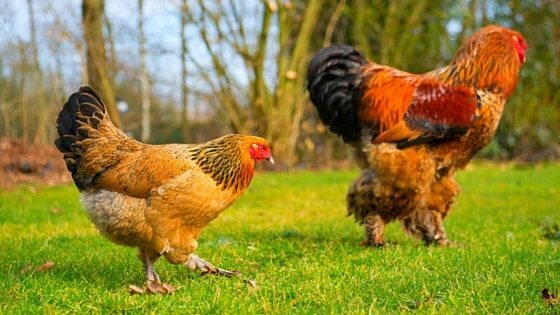 We are new at raising back yard chickens and I want to keep them as healthy as possible. Hi Sandra – it’s easiest to give them the apple cider vinegar in water. I use 1 tablespoon per 1 gallon of water. Thanks for the info. You said you finished a new co-op. Please show pictures and size measurements. One time you had a green plastic like shelter. Post that again. Gary. I think you’re thinking of our greenhouses. Unfortunately, the plastic covers weren’t durable, so we have to reskin the frames again. What if a girl that you were going to cull anyway develop sour crop. Is she still edible? Probably, because the issue is a fungal infection in the crop. When in doubt, though, don’t consume. You’ll have to make the decision that’s best for you.